Nobody expects to see themselves trending online. But when one person waded into a debate about difficulty in video games, his somewhat hyperbolic tweet united both sides of the argument. His words have been re-posted thousands of times on Twitter alone, spawning spoofs and parodies created by everyone from regular gamers to Sega of America. And all of this came from a response to a gaming journalist who admitted he had cheated to beat a video game. It all started with FromSoftware's 2019 game Sekiro: Shadows Die Twice, which has such a steep difficulty curve that PC Gamer's James Davenport admitted he used cheats to finish the game. This fact did not sit right with Crunch, a Twitter user who probably had his tongue planted somewhat in his cheek when he told Mr Davenport in no uncertain terms what he thought of his accomplishment. Image caption The original tweet that started it all - with a slightly sweary username blurred out. 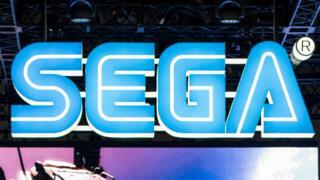 Over the next few days, the words reappeared in popular posts as gamers poked fun at the hyperbolic statement, using it to call out well-known cheats in popular games such as Persona 5, Crash Bandicoot and Super Mario 64. It was soon labelled the latest "copypasta" - a term to mean a block of text that is "copied and pasted" frequently online. More and more gamers were posting the wall of text with famous ways to cheat, ranging from in-game level select screens to using an "action replay" cheating device. The meme developed further, with technically skilled gamers modifying some of their favourite games to include the text within them, including clever edits of Animal Crossing and Link's Awakening. And one video featuring a literal shortcut in Super Mario 64 was viewed more than 1.65 million times. And at this point, it was so popular that even Sega of America tweeted its own parody on the official Sonic the Hedgehog Twitter account - which Sega often uses to engage in internet culture with memes and jokes. You might be forgiven for thinking that the original tweeter would be upset by the way his words were twisted for humour - but Crunch has embraced his new-found fame. "When this all jumped off," he told the BBC, "I was a bit upset that people weren't understanding my point, but as I saw it I had two options. "I could try to fight it... or I could lean into it, have fun, and see where it takes me. It's a matter of perspective. "I absolutely love that I got to create a new meme that's part of the internet tapestry." His positive attitude has seen him receive plaudits online, to the extent that a meme he made parodying himself with Metal Gear Solid character Liquid Snake was professionally recorded by the character's original voice actor. Crunch called this recording his "favourite part of the past week". "It really blew me away," he added, "and I was genuinely moved to tears."